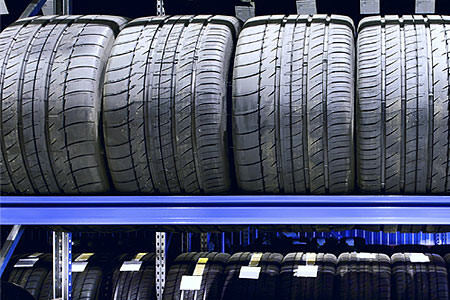 Tire cord is used in the tire manufacturing process to make tires stronger and last longer. The wire used in this tire cord is produced through a wire drawing process that reduces the cross section of the wire to the appropriate size needed. A coolant is used during the manufacturing process, which involves forcing the metal wire through a die. This process requires a lubricant or coolant to protect the die (and the capstan) and make it a smoother process. The coolant also provides a better feeding of the wire and ensures a more dependable production rate by eliminating manufacturing downtime. Tire cord wire drawing coolant often requires filtration / separation to increase the life of the fluid and maximize the quality of the tire cord. CentraSep Centrifuges installed their first tire cord wire drawing coolant filtration and separation centrifuge in 2000 on a tire cord wire drawing line. Since that time, CentraSep Centrifuges has become the preferred solution for filtering and separating tire cord wire drawing coolant and is considered part of the “Best Practices” of the leading wire drawing facilities across the globe. Today, CentraSep Centrifuges has wire drawing coolant filtration and separation systems in 15 countries, and offers custom turnkey tire cord wire drawing coolant filtration packages that are available for rapid installation, and that deliver a level of simplicity, performance and reliability that is unrivaled in the filtration and separation industry. While the competitive landscape of the wire drawing industry continues to change, an effective tire cord wire drawing coolant filtration and separation solution can dramatically and positively impact your bottom line. Our experienced and dedicated team of engineers, technicians and manufacturing personnel understand the tire cord wire drawing industry and how proper coolant filtration impacts it. Our team will work with your team to develop a process improvement centrifuge solution that decreases your costs and increases your profit. CentraSep Centrifuges is the proven leader in tire cord wire drawing coolant filtration. Since 1981, CentraSep Centrifuges has specialized in solving problems through application engineering. Nowhere is this problem-solving approach more apparent than with the CentraSep centrifuge, which was developed after listening to customer challenges and needs with the filtration, separation, and maintenance of tire cord wire drawing coolant. CentraSep Centrifuges can offer you savings in labor expenses, filter media purchasing, inventory and disposal fees, and coolant replacement costs. Contact us today to see how we can help you with your tire cord wire drawing needs. Talk to one of our Engineers today to see how we can help with your tire cord wire drawing coolant filtration and separation needs.